MainAll NewsDefense/Middle EastHizbullah, Lebanon PM: Too Cozy? 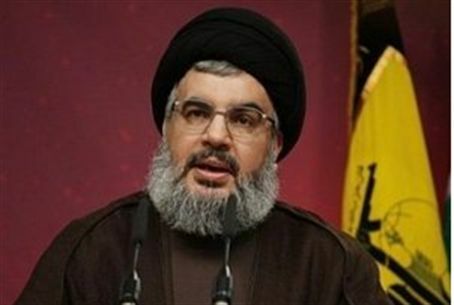 Hizbullah, Lebanon PM: Too Cozy? Lebanon's new prime minister and his backers are each working to deny Hizbullah is pulling the strings of the new national government. Lebanon's new prime minister and his backers are each working to deny the Hizbullah terrorist organization is pulling the strings of the new national government. However, Prime Minister-elect Najib Mikati was in fact selected by the 12-member Hizbullah terrorist faction that toppled the previous Western-backed government earlier this month. Nevertheless, Mikati denies he has any particular obligations to the terrorist organization that helped put him in power. The 12-member Hizbullah faction in the parliament is also denying exerting undue influence. The head of the faction told the Associated Press Thursday "We did not give a list of conditions to Prime Minister Mikati. What we asked for is a national partnership and a national salvation government in which everyone cooperates for the interest of the country." However, the former incumbent Prime Minister Sa'ad Hariri -- who was knocked out of power by Hizbullah -- and his Future Movement bloc say they will not join the new national government unless Mikati clarifies his position on the United Nations Tribunal for Lebanon. Mikati garnered 68 votes to Hariri's 60 mandates Tuesday on the second day of parliamentary consultations at the presidential residence near Beirut. The billionaire businessman challenger to the incumbent, Sa'ad Hariri, entered office against the backdrop of a conflict over the prospect of forthcoming indictments by the Tribunal. The U.N. body is expected to charge several senior Hizbullah terrorists with the 2005 assassination of Hariri's father, former Prime Minister Rafiq Hariri. The Western-backed Lebanese leader was murdered in a massive truck bombing that targeted his convoy in downtown Beirut. Explosives approximating 1,000 kilograms of TNT were used to kill the former prime minister. Twenty others died in the blast.